This Vision book for youth 9 - 15 years old tells the thrilling story of one of America's greatest missionaries who came down from Canada with explorer Louis Joliet to explore the mighty Mississippi River, the "great river" bordered by Indian tribes who killed white men on sight. Of the few who had dared explore this immense waterway, none had lived to return and report where it emptied. If he could travel to the mouth of the "great river," Fr. Marquette hoped to obtain new lands for France and new souls for Jesus Christ. He braved the dangers of tomahawks and tortures to bring the Word of God to the Indians of the New World. 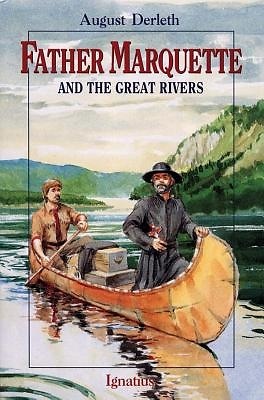 Rapids, floods, Indian superstitions, tribal warfare - these are only a few of the obstacles Father Marquette and Louis Joliet encountered in trying to meet their challenge. Illustrated.